Motorway bosses say they will aim to re-open part of the M6 as quickly as possible after it closes this weekend for a bridge to be dismantled. Drivers will face diversions when the motorway is closed between Junction 13 and 14 at Stafford from Saturday night and have been warned to avoid the area. 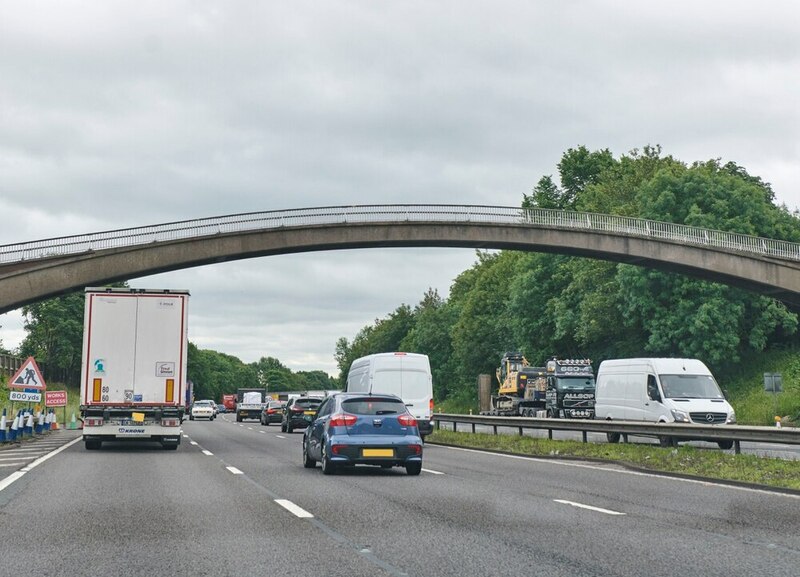 Workers from Highways England will be taking down the 140-ton Burton Bank footbridge as part of the wider smart motorway project. Traffic will be reduced to one lane in both directions from 5pm on Saturday before a full closure at 8pm. The motorway is expected to be shut for up to 18 hours but Peter Smith, smart motorways project sponsor at Highways England, said teams were aiming to have the job done in 12 hours. Project bosses have been spreading word of the work in an effort to reduce traffic on the M6 on the day. Alerts of the closure are running from Dover to Carlisle. Traffic will be diverted along the A449 and A34 while the motorway is closed. Diggers will be brought to dismantle the bridge overnight and workers are facing a tough challenge to get the job done on time. Mr Smith said: "This is an arched bridge so it is quite a challenge for us. We can't just pick it up and take it away because the rest would fall down. "We're hoping to have the motorway open for 8am the following morning on Sunday. We plan for the best things but we also have to plan for the worst. The bridge is 50 or 60 years old so it will be a bit more of a challenge. "It's business as usual for us but the challenge is to get it down to 12 hours. Once we get into the day time the traffic will start to go up. "The message to all drivers is if you are planning to travel please do all you can to avoid the area and please allow more time and have more fuel for your journeys."